When you’re young, healthy, and mobile, it’s easy to take your joints for granted! But osteoarthritis, a degenerative joint disease, affects one in five women and one in 10 men over the age of 60. This chronic condition causes cartilage — the rubbery material in your joints that acts as a cushion between your bones — to break down, causing pain, swelling, problems with mobility, and joint damage. Osteoarthritis can take decades to develop, so you need to care for your joints now to ensure mobility later in life! People who have joint pain often avoid physical activity for fear that it will cause more pain or further damage to their joints, but the opposite is true. Your joints are meant to move! Exercise can reduce pain and stiffness, and strengthens the muscles that support your joints. Try low-impact exercises like swimming, walking, cycling, or yoga. Carrying excess weight increases the stress on your joints, so maintaining a healthy weight is key for joint health. Studies show that every extra pound increases the working load on your knees by four pounds! Losing as little as 5% of your body weight can help relieve joint pain. Reducing inflammation is another way to improve joint health. A diet rich in antioxidants (like fish, nuts, leafy greens, berries, and whole grains) can help reduce joint pain. Keep your intake of inflammatory foods like meat, dairy, and vegetable oils to a minimum. Calcium is crucial for healthy joints and bones, and you need vitamin D in order to absorb calcium. Your doctor can order a simple blood test to find out if you’re deficient in vitamin D. Many people require supplements to get enough of these vital nutrients. Supplementing your diet with glucosamine and chondroitin (the building blocks of cartilage) can help relieve joint pain and stiffness and slow the breakdown of cartilage that occurs with osteoarthritis. 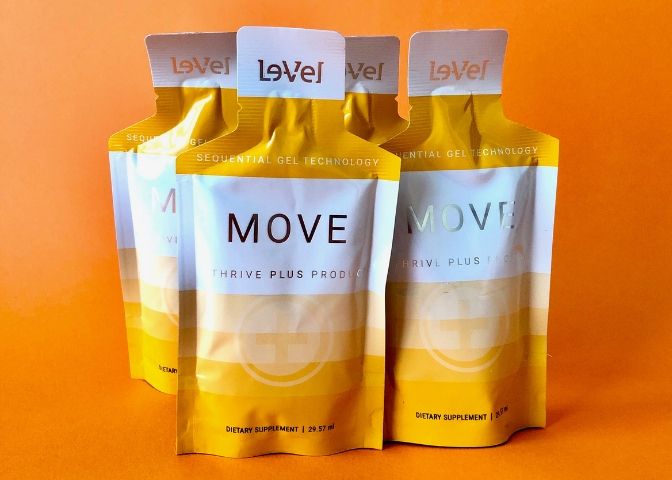 THRIVE MOVE is a premium gel formula that delivers glucosamine and chondroitin to help calm joint irritation and support flexibility and mobility. If you are experiencing joint pain and stiffness, taking these actions can help ease soreness and slow the progression of osteoarthritis. And if you haven’t yet thought about taking care of your joints, it’s never too early to start!